Kindle Reader is the new and best way to read! With today's fast-paced society, it's hard to find the time to read a good book, but Kindle Reader makes it easy for you to read whenever you get the chance. On the bus, train or on your lunch break, accessing your books is fast and simple with the touch of a button on any of your devices whether it be a phone, tablet or laptop. Audiobooks can also be downloaded, so if you don't want to read, just plug in your headphones and escape the rush with one of the hundreds of thousands of audiobooks that the Kindle Store have to offer. Once a book has been downloaded, it can be accessed anywhere without internet connection. Most books, magazines, newspapers and textbooks with high-resolution color images can be downloaded straight to your device with Kindle Reader. Reading material can be downloaded from the Kindle store and some other online outlets straight to your device in seconds! 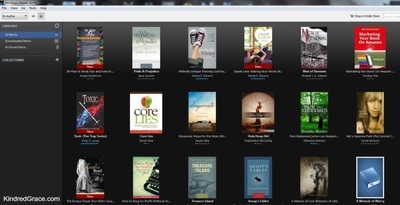 The Kindle store provides users with over 3,000,000 titles to choose from! PDF's can be downloaded onto your Kindle Reader with the free Personal Documents service for future reading so that you can access it quickly and simply. Kindle reader is the best way to access low-cost reading material, that can be accessed at any time across devices. Users only need to buy a book once and can share it across your family's devices. And no more losing books as they are all stored safely in your account! Users are able to customise their reading experience by choosing their preferred font, text size, background colour, line spacing and margin size. The screen brightness can also be adjusted for night time reading. When opening up a book, it will automatically open up to where it was last bookmarked, and the settings that were originally chosen will remain in place. 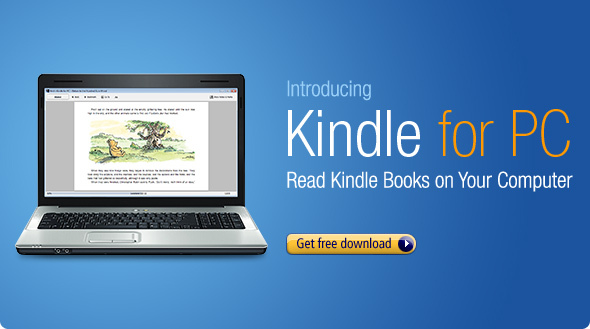 Kindle Reader provides a smart look-up feature which helps the reader with finding sections that they want to revisit which is ideal for textbooks, cookbooks and literature studies. X-ray for books is another useful feature of the kindle reader, that provides useful background information and biographies on the book that you are reading within the app. If you come across a word or saying that you don't understand, just tap and hold the text that you want to understand and a definition or translation will appear instantly within the app. 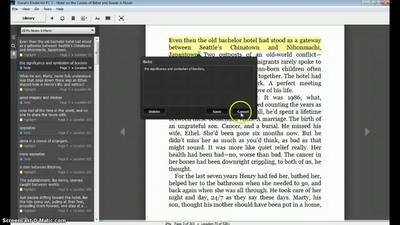 Kindle Reader also allows users to highlight large sections of books for future reference. This is a handy feature for textbook use and literature studies. Books are automatically synced between devices with Whispersync, ensuring that you can access your books wherever you please. Whispersync will also sync highlighted sections, annotations and bookmarks, so you can pick up where you left off. The Kindle Reader is available in English, Chinese, Dutch, French, German, Italian, Portuguese, Japanese, Russian and Spanish. Available on Windows, Mac iOS 8.0, iPhone, iPod, iPad and Android devices.